When I started blogging 7 months ago, I had no idea what I was getting into. Really, I was so naive to the idea of what it takes to run a successful blog. I have had my challenges and frustrations over the months but have enjoyed this process thus far. And through reflection, I've come up with 6 things that I have discovered about blogging so far in my journey. 1. It's not just a hobby, it's a lifestyle... and not just in the "I'm a lifestyle blogger" kind of way. Once you start blogging, everything around you turns into a possible post. You go on a trip, there are posts. You become pregnant, have little kids, are a working mom, are a college student... there are so many posts in your future. If you cook for your family every night, there are even more posts. As long as you have a camera to document all these wonderful events in your life, your life becomes the blog, and it's pretty much always on your mind. 2. My friends are not the ones reading my blog, other bloggers are... and at first this really upset me. I mean, I started this blog for my friends and family to read. Only, they are definitely not the main source of my readers. Other bloggers are the ones who read blogs. Sure, there are a handful of people who find my blog through Pinterest or Stumble Upon, but for the most part, all the wonderful readers I get to my blog are other bloggers who I've met through groups, communities and other blogs. It doesn't bother me so much anymore as I kind of like it this way now. 3. I'm tired all the time... because all my free time is spent working on the blog and other blog related activities. From picture editing, writing or working on posts, creating recipes, crafting, working in blogging groups and communities, returning comments/emails, to instagramming and figuring out giveaways, there is always something that I can be working on. I get up before the kids and stay up long after they are in bed to work on all these tasks, just so I can find the time to do it all. And you know what? I love the feeling of completing these tasks at the end of each day, even if I'm tired. 4. I've never worked so hard for so little... and yeah, who would have thought? I seriously put in more hours each day blogging then I ever did at a job. I know I worked this hard in school but that was years ago and expected (because I was paying for it). But to put so much heart and soul into something on a daily basis and not see a consistent return is true passion people. I never thought I would become rich off my blog as it is just a place for me to share, crate and write creatively, but in order to get people to read your blog, you have to work hard at getting noticed. That takes up a lot of time (see #3) and feels like a full time job... without the pay or benefits. 5. 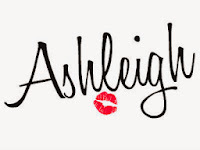 The blogging community is huge and supportive... and it makes my heart so happy, when every morning I get to connect with all these wonderful people and see what has been put out in the blogospheres for me to read. I find that through blogging groups, tribes and communities, I have learned a great deal about blogging, found some amazing ideas and articles, and really learned what it is like to be a part of something so grand and fresh. It's very exciting to be a part of this blogging community. 6. Blogging can become obsessive... or maybe I've become obsessive about blogging. Yep, I'd say the latter. Based on numbers 1, 3 and 4, I'd say that I pretty much love to blog and think about it the majority of the day. My kids and husband will always come before all, and having a blog is for my benefit, my hobby. But dang, I do spend a lot of time obsessing thinking about the pageview numbers, how many followers on different social media networks I have, writing new posts and making connections to not be a little obsessed. I think the only way to be successful at something, at least for me, is to turn on the aggressive mode and go full force into something. Where as blogging for me is fun and a way to be expressive, I'd be lying if I said I didn't want to be good at it and have some success come because of it. For me, if I wasn't a bit obsessive -something I didn't imagine would happen 7 months ago- then I'm not working hard enough. I'd love to hear if this sounds like you? Let me know in the comments or end me an email! Have a happy Friday and 4th of July! I love this post idea, I have been debating on posting about my observations, but because I am pretty sure I'll end up ticking off like 95% of the community, I haven't LOL! Oh Meagan, now you have me wondering what you would write about lol ?? Thanks... it's not always easy but worth it! Hi! Thank you so much for linking up last week with us at the TGIF blog & Instagram hop! I love your post and I am featuring it on this weeks TGIF hop! Feel free to head over and grab the Hop's button and share the love! Thank you for the feature!! I will grab a button! Have a great weekend!! I totally agree with you. Blogging is hard, underpaid work. But in my case, blogging is my "me" time and helps me keep my sanity, so it's totally worth it! Yes, it is my "me" time too! It's just not always easy to find that "me" time lol I;m so glad that blogging is so great for you! I agree blogging is tough! Keep it up you have a nice blog.. You are doing great! Thank you for the compliment and for stopping by! Have a great weekend! Yes to all of th above. Blogging is a lot of work, but I really love it. The perks are nice, but they don't really compensate for all the time I spend doing it. It's that the truth?! But it is always worth it, just knowing we are working so hard and putting ourselves into something!! Have a great 4th!! I totally agree with the obsessive part!! I have really tried to chill out since it was getting to be too much! Lol but how long does the chill out last? I can't even go a full day without wanting to check on at least on thing blog related!! Do you have any secrets!? Thank you! Such a great lifestyle!!! Ditto to everything you said! I have been blogging longer and yes, it can become all-encompassing. But you are also right that the community is really supportive. It's one of the reasons I am still blogging after almost 6 years. 6 years?! You are a rock star!! I love this community and all that it stands for! Good for you for rocking for so long!! I can totally relate! 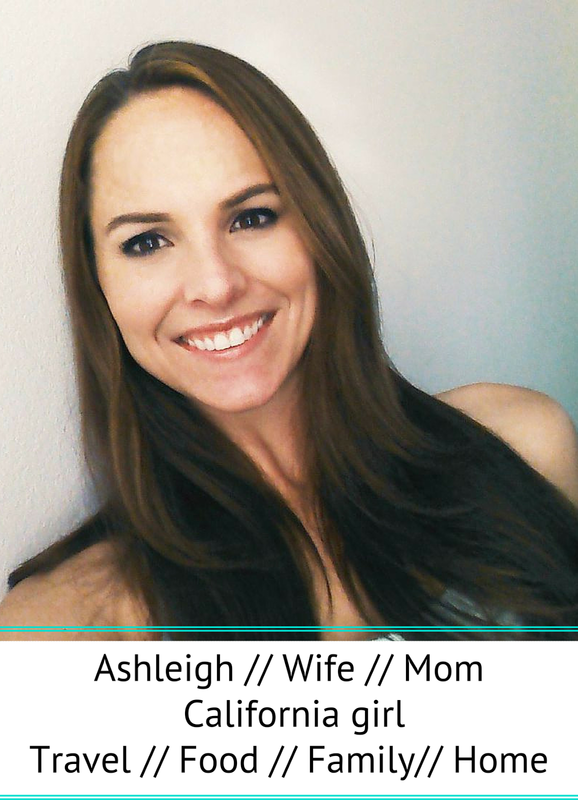 As a full time employee and a mom, it is very hard to find the time to blog. I try to carve out some time every weekend to work on it but it is hard when you have a little kid that demands all your attention. In fact, my son is right here now waiting for me to finish typing my comment. LOL! But I want to say your post is really inspiring. I look forward to reading more of your posts. Even though bloggers make up a big portion of our audience, don't forget that bloggers are also the ones who usually comment. A lot of times I forget about the family and friends who are reading my blog because they never comment or interact with me (but when I see them IRL they will mention something they saw on my blog or whatever!) Have a great weekend! And yep, everything becomes a possible post, so you better be sure to take a million pictures of everything, lol. At least, that's how I feel. I agree 100 percent! 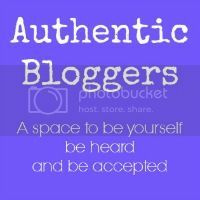 It has amazed me how supportive other bloggers are and I only started a few months ago. You are right in that everything around you becomes ideas for posts! I totally agree with this! So true! I men just don't get it lol! Oh my, I could have written this list myself!! I can totally relate to each one of these! Great post! Thank you! So glad you could relate!! Visiting from tatertos & jello link up- great post! You have an engaging writing style. You've only been at this 7 months? Wow! You really dove in head first huh? I have been doing it only a few months myself but I dont know if i'll ever take the plunge and get my own domain. How did you decide to do that so soon? Thanks for sharing your thoughts! HI Alia! Thank you for the compliment! I did dive in head first, considering I had pretty much no idea what I was doing lol. But I love that everyday there is something new to learn and expand on. I decided to get my own domain about 5 weeks in... pretty quick, right? I just thought it sounded better and would make it easier for readers to remember. I still use Blogger and don't plan on ever switching to WP, as I've had no real issues with Blogger. I guess I just knew that eventually I wanted to have my own domain and didn't really want to wait. It wasn't difficult and didn't cost that much at all. I hope this helps! Email me if you have any other questions! I love that your blog is your creative space! I agree that the work load can pile up and then in order to keep up, the posts start to go down hill. I've dealt with this myself. Good for you for getting back to the reasons behind why you started in the first place!! I'm down to 2 blogs a week now because the other time is working my full-time job, creating jewelry, posting my jewelry on my website and promoting it, and doing shows. It's tough to find time for everything. Great post! I agree with everything! Number 1 is especially true for me. Whenever I'm cooking or baking I'm always wondering if it's "blog worthy". Ha! Yes! All of these are spot on! 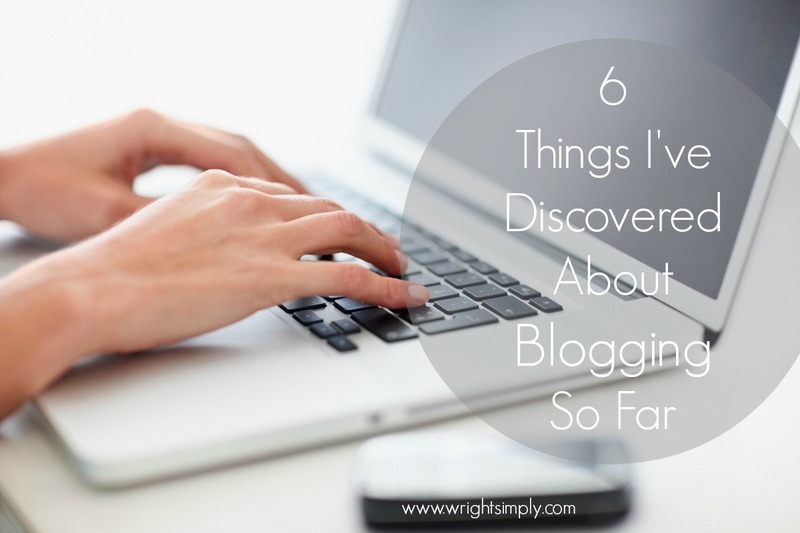 I wasn't really a blog follower before I got started blogging, so I had no idea what I was getting in to! My ideas on blogging changed quickly and the amount of time I would spend on it was a complete surprise. But it is fun and has been a great way to get to know some really nice people. Sometimes I feel like I am completely crazy to keep investing so much time into it, but I don't see it changing any time soon. Awesome post! Completely agree with everything. It's a hard job with very little pay in the beginning. I've been doing this blog thing for the better part of 20 years. Things have changed considerably and it still remains a valuable option for me as a writer. If I can't write I go crazy. I have journals and they each serve a purpose. I write fiction and poetry and that too has its own purpose. But, blogging is a separate entity all on its own. I recently realized that the moment I crossed over that "I must blog to make money" line things started to get really stressful; because with having a money making blog, so does commitments, deadlines and obligations. So, I am finding my way back to blogging for me and if I make money - fine - if not, thats fine, too. All of these are so true! I remember when I first started to realize other people read my blog, and I thought to myself, "Why? My blog is so boring." Haha. I am noticing the longer that I blog (which hasn't been terribly long) the more time I want to spend on all the details. And checking numbers, stats, etc. Kind of fun for me. Happy to co-host OMHGWW with you again. You're right. On all points. Keep up the great work. I love your blog. I was just talking to my husband about it last night. I've only been blogging for 6 months, and it is time-consuming and exhausting at times. I see merit in all of your points and can empathize with how you feel. Your blog is beautiful, as is your writing! It looks like you are doing a fabulous job! Keep going, Girl! I love this post. It describes everything about blogging. Now when we leave the house I am constantly thinking "This is a great idea to add to a blog post" or when looking at stores I now see inspiration on something that I want to create and share with others. It is time consuming in so many ways...but I love it. Thanks for linking up at the Bloggers Brags pinterest party. I pinned your post on our Pinterest board. This is a great article, can relate to being tired all the time, waking thinking about what I will blog about, its crazy, for the past couple of years I have been blogging non stop. Sometimes I wonder what commitment I made, it takes so much time and I certainly dont do it for the money, its for all the love of meeting people and making relationships across the world actually. 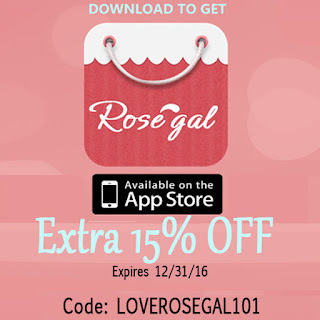 Thanks for Co-Hosting with Oh My Heartsie Girl this month, I appreciate it!! Oh girlfriend, you sound EXACTLY like me...to a T! I enjoyed you walking me through my feelings and experience word-for-word. I have enjoyed co-hosting #OMHGWW with you and getting to know you better! I'm just starting out a new blog after running one for a few years a while back. I think I'd forgotten how all consuming it is - this is a good reminder!! I completely agree with your points. When I think I'm blogging and no one is reading, I'll get a kind and thoughtful comment from a reader pointing out how much my article has helped them in some way. That makes it all worth the hard work! You're so wright! lol I've only been blogging for about 3 months and I'm totally obsessed. Every single thing, I'm like, I have to tell my readers! I have to show my readers! Lol It's consuming and a lot of work but I'm so glad I started it. I have been blogging for 4 and a half years and I still feel the same. This list is so true! I find myself waking up wanting to work on my blog. It has consumed my life to a certain extent. Thank you for sharing. And yeah I'm always thinking about blogging too. And it's not only posts that are hard work... sharing on social media can be a pain too! sooooo true. and i'm kind of glad my friends don't read my blog because i think i would be embarrassed haha! I just had to smile as I read your post. I can relate to all of these things. I love to blog but sometimes I wonder about my sanity when I find myself consumed by the thoughts of blogging. I just love sharing with others and it my connection to like minded people. Don't we all need others who share our passion? Thanks for sharing you thoughts at the Thursday Favorite Things Blog Hop! You know I love your blog! I think the hardest thing for me was to accept that my family and friends could care less to read my blog and that it was other bloggers. Glad you added this.